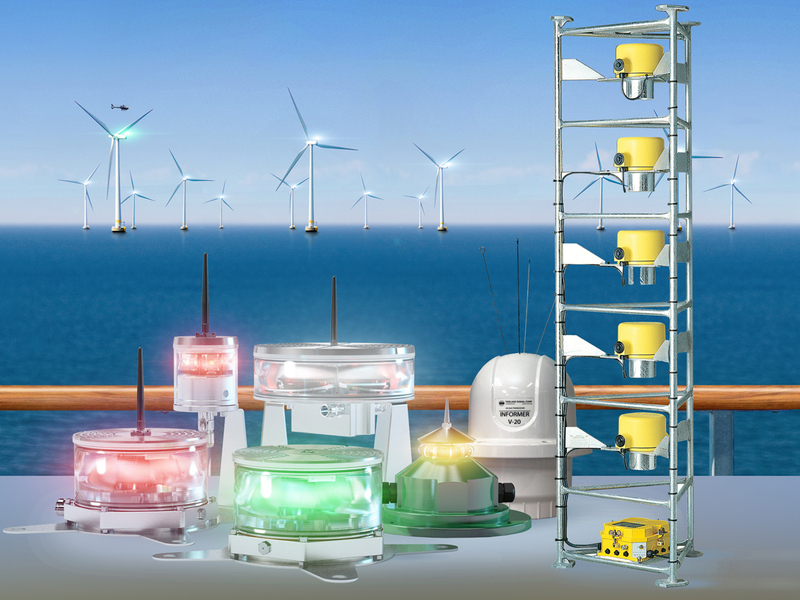 Goslar (renewablepress) - The demand for robust hazard beacons and marking systems for wind turbines on the high seas is rising parallel to the increasing development of offshore locations. For Quantec Signals based in Goslar in the Harz region of Germany, the completion of the product line for offshore use, including navigation solutions, and bringing these onto the market was, and is, the main event of 2018. At the heart of the new line are the universal offshore obstruction light systems for on-demand applications. They integrate all the functions which are required on the high seas, and are designed for heavy-duty applications. All features for relevant uses, application areas and light profiles are already in the system. As standard, Quantec Signals delivers its systems pre-configured for the application area for which they have been commissioned. Through appropriate programming during production, or by means of dip-switches on site they can be individually configured. This reduces the user’s stock of a wide range of different systems. The offshore portfolio also has a light for helihoist and rescue operations. The multi-function system combines a helicopter landing light and a rescue beacon (SRO) in a single unit. The helicopter landing light shows the status of the hoisting gear with flashing green or continuous light. In emergencies, the SRO identifies the affected target turbine with a continuous red light. Starting very recently, the systems produced by Tideland, the specialist in offshore identification and navigation solutions, now complete Quantec Signals’ portfolio. This allows us to offer a complete solution for the identification of offshore wind turbines. One of the new products in Quantec Signals’ portfolio is Tidelands’ LED offshore marine light system, with its unique, patented optics. This allows a 360° beam angle to be given 3°, 5°, 10°, 20° or 30° of vertical divergence. The electric-powered foghorn from our American partner company can be heard over a distance of two nautical miles. The system automatically sends out a 360° beam of sound with the pre-selected code. Tidelands’ AIS information provider is both a long-distance monitoring system for systems which support marine aids to navigation (AtoN) and is available in two functional types: as a pure transmitter and receiver and as a transmitter and receiver which can be configured by radio frequency with chaining functionality.